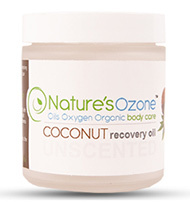 Unscented Cleansing Translucent oil NaturesOzone Organic Oxygenated Coconut oil. A classic moisturizing with a refreshing sheen that doesnt feel oily.Used to enhance the natural appearance and beauty of your skin. Fresh pure properties naturally make this very popular for massage therapist. NaturesOzone is a simple safe application. 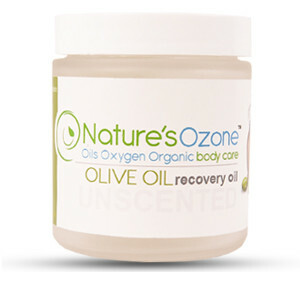 Unscented Recovery Oil NaturesOzone Organic Oxygenated Olive oil is used to sooth and also enhance your skins appearance. Quality pure organic oil that delivers. NaturesOzone in a simple safe application. Unscented Cleansing Translucent oil NaturesOzone Organic Oxygenated Jojoba oil is used to bring out the pureness and beauty of your skins vibrant appearances at its healthiest state. Great moisturizer and rich cream feel. Great for sensitive skin. NaturesOzone is a simple safe application. 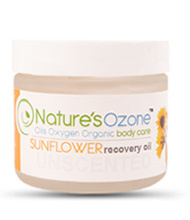 Unscented Recovery Oil NaturesOzone Organic Oxygenated Helianthus annus (Sunflower) seed oil is a soothing blend. Its rich but settle absorption is used to bring out the glow and naturally bring out the best in your skins beautiful appearance. NaturesOzone in a simple safe application. 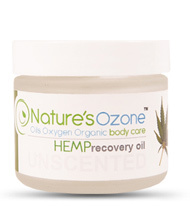 Unscented water resistant Sleek Recovery Oil NaturesOzone Organic Oxygenated Hemp oil. Smooth gel like texture with a refined sheen. Used to enhance and moisturize your skins natural beauty. Its water repelling property’s aid in the shedding of water for swimmers and help to slither through the water. NaturesOzone in a simple safe application. 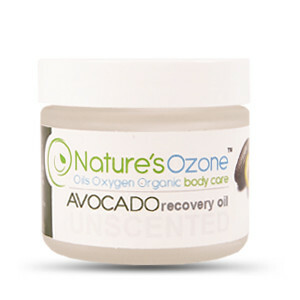 Unscented water resistant Sleek Recovery Oil NaturesOzone Organic Oxygenated Avocado oil is is smooth and rich. Its sleek creamy make up is quick to adsorb and is used to bring out the vibrant elastic glow and freshness of your natural beauty. Your appearance will surely recognize the rich value. NaturesOzone in a simple safe application.